Zachary Ives is a Professor and Markowitz Faculty Fellow at the University of Pennsylvania. He received his PhD from the University of Washington in 2003. His research interests include data integration and sharing, managing “big data,” sensor networks, data provenance and authoritativeness, and biomedical informatics. He is a recipient of the NSF CAREER award and the Christian R. and Mary F. Lindback Foundation Award for Distinguished Teaching, and he serves as the undergraduate curriculum chair for Penn’s Singh Program in Networked and Social Systems Engineering. He is a co-author of the textbook Principles of Data Integration, and has received an ICDE 2013 ten-year Most Influential Paper award and an ICDE 2012 Best Paper Runner-up Award. 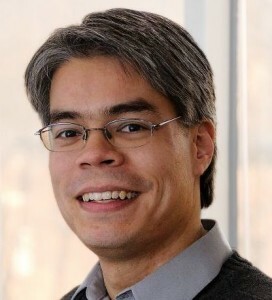 He serves as an Associate Editor for the Proceedings of the VLDB Endowment, the VLDB Journal, and the IEEE Transactions on Data and Knowledge Engineering, and he is Program Co-Chair for ACM SIGMOD 2015.